Which Kendama is for me? Kendama types are mainly divided into 2 groups: The Slippery Tama type or the Tacky Tama type. It is easy to differentiate them just by touching the Tama. 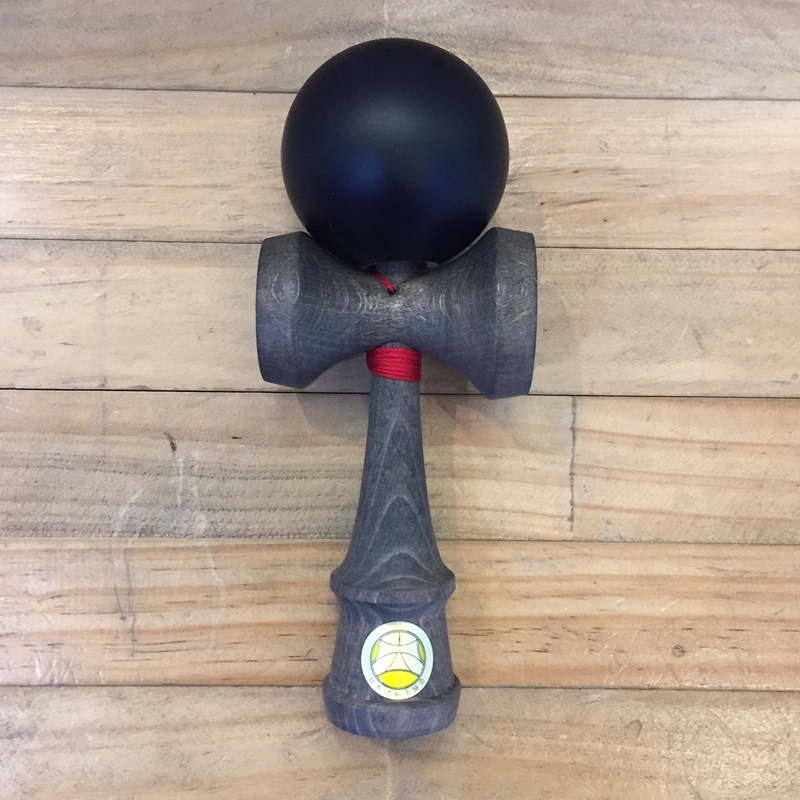 Slippery Tama kendamas are used by players who are just starting out as these are more affordable as compared to their Tacky counterparts. Usually these Tamas will be glossy and will be harder to do balance tricks like Lighthouse and Lunar. Tacky Tama kendamas are used by players who are looking to practice their balance tricks with ease. Tacky Tamas make tricks like Lighthouse and Lunar easier to do than their Slippery counterpart. Also, there are various forms of Tacky Tamas. They could be Rubber coated, sticky matte painted, glossy painted, etc. 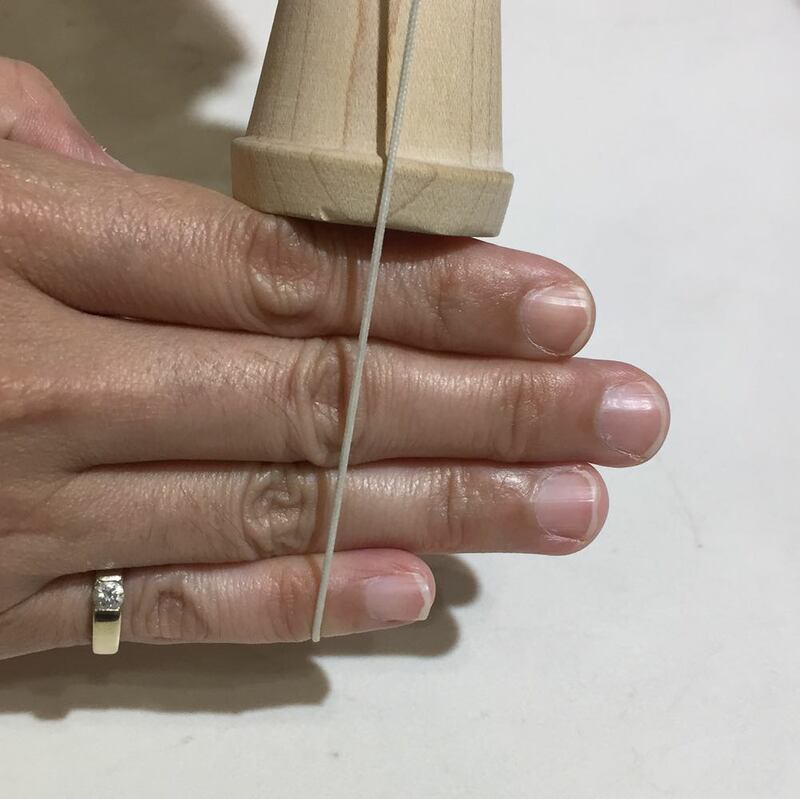 With the Sarado BIG CUP facing you, and the string holes on the top, insert Stringing Tool into the Sarado String hole on the left if you are RIGHT HANDED, and on the right if you are LEFT HANDED (1.1). 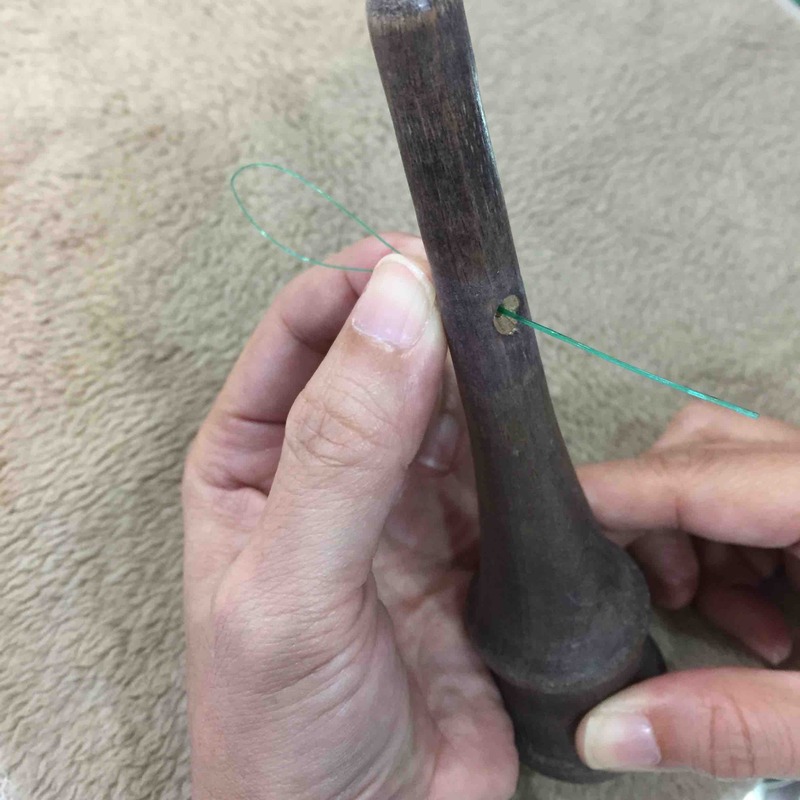 Then insert string into the Stringing Tool (1.2) and pull the Stringing Tool down, forcing the string through the Sarado String hole (1.3). Insert the String Tool through the Spike (2.1) and then insert the string from the strung Sarado into the String Tool (2.2) and pull through (2.3). 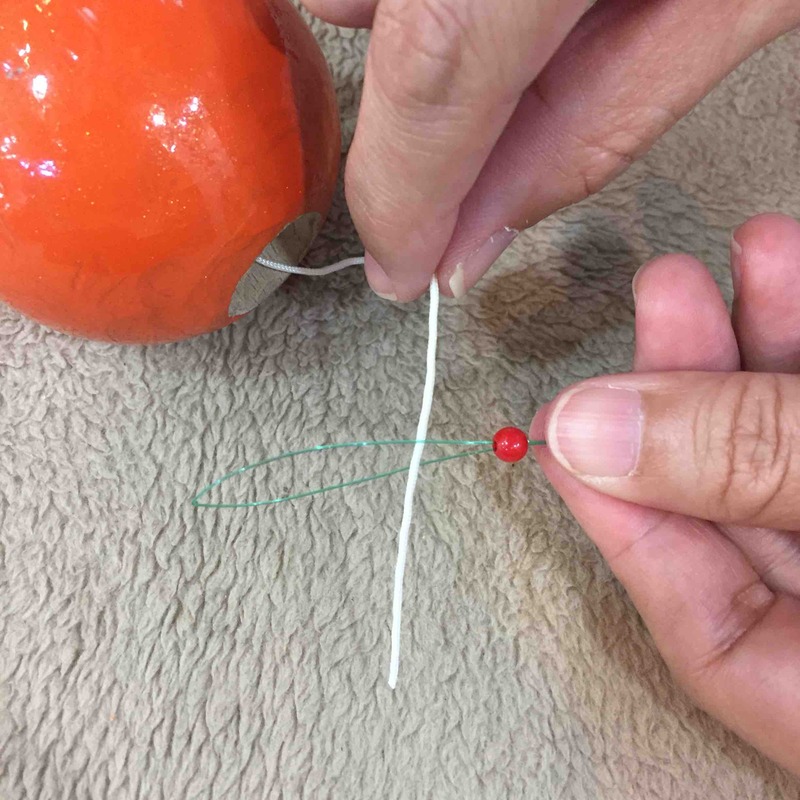 Next, tie a knot at the end of the string (2.4) big enough so the string does not escape from the Spike String hole. Then put the Sarado and Spike back together and push the Sarado down making it nice and snug (2.5). 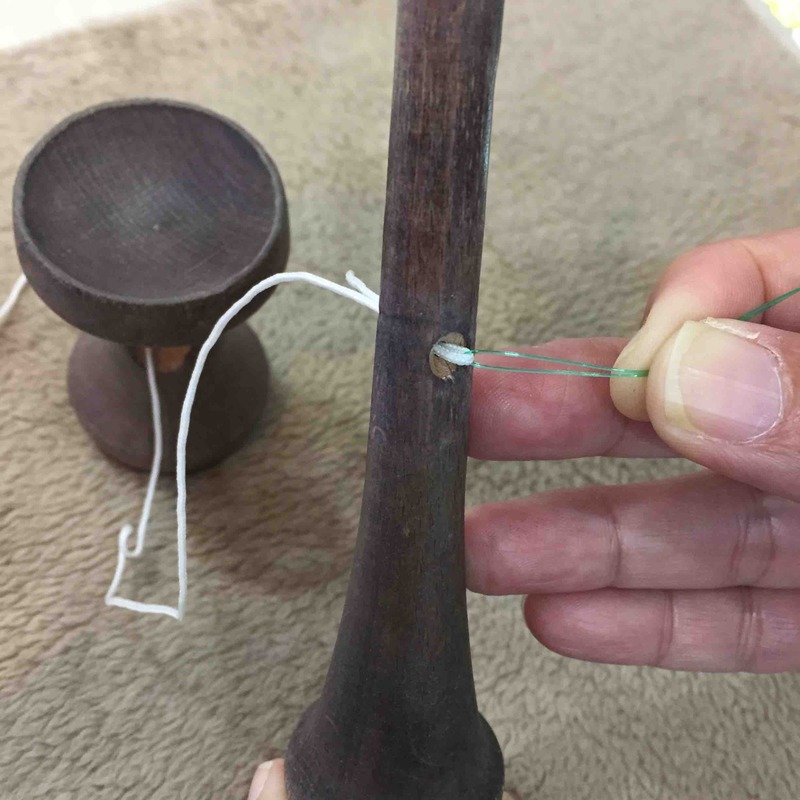 To string the Tama, insert the String Tool through the top of the Tama String hole (3.1), insert the remaining string through the String Tool (3.2) and pull through. 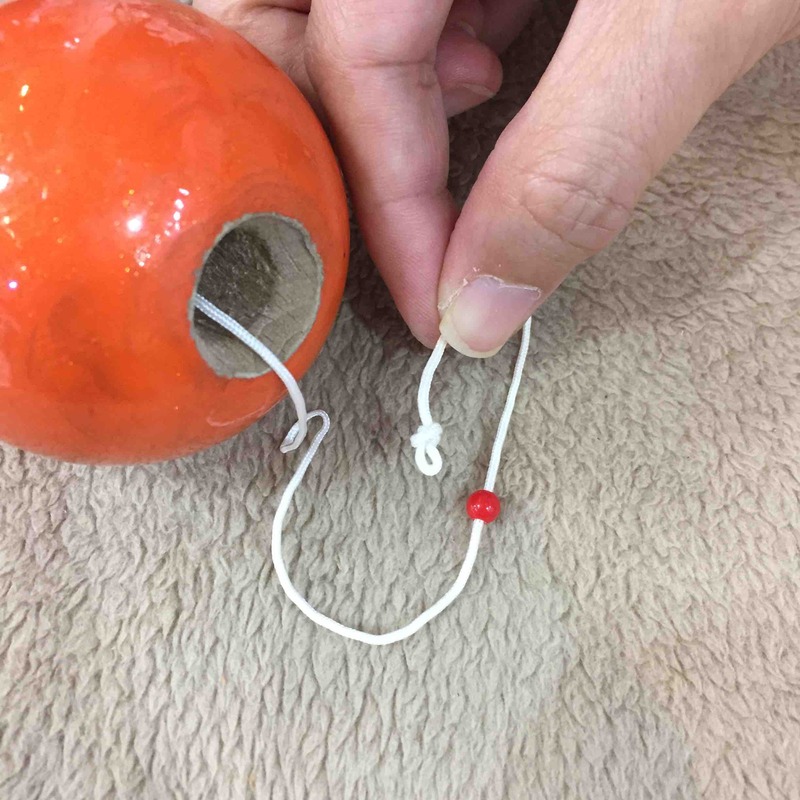 Next, insert the String Tool through the Bead, and insert the string through the String Tool (3.3) and pull through 3.4). 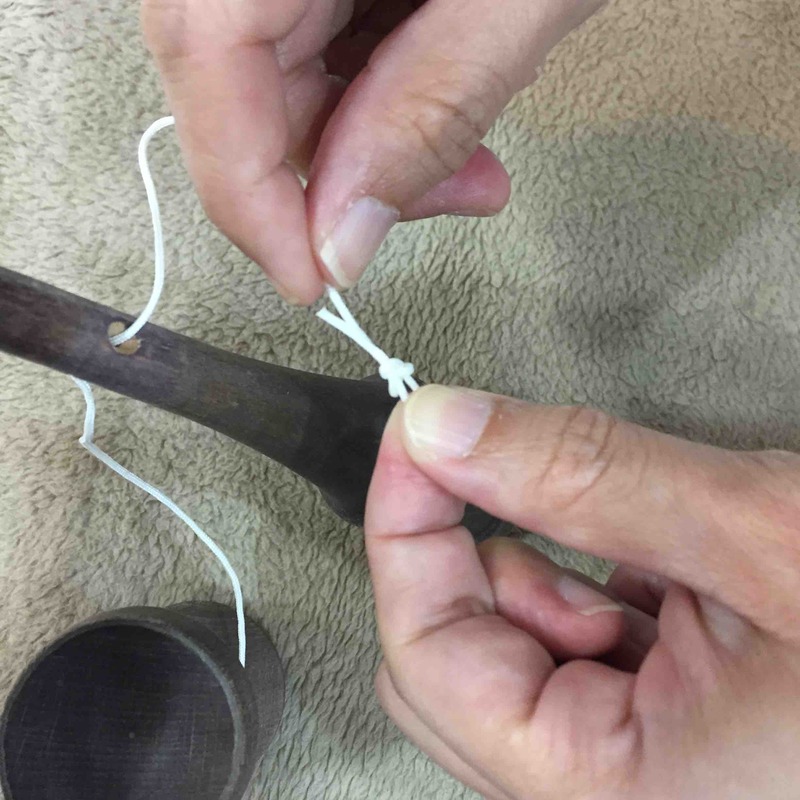 Lastly, tie a knot at the end of the string and ensure the bead is not able to fall off (3.5) and you are good to go! Grab some Super Glue from the Supermarket or DIY store and grab some paper towels before you start your gluing session. 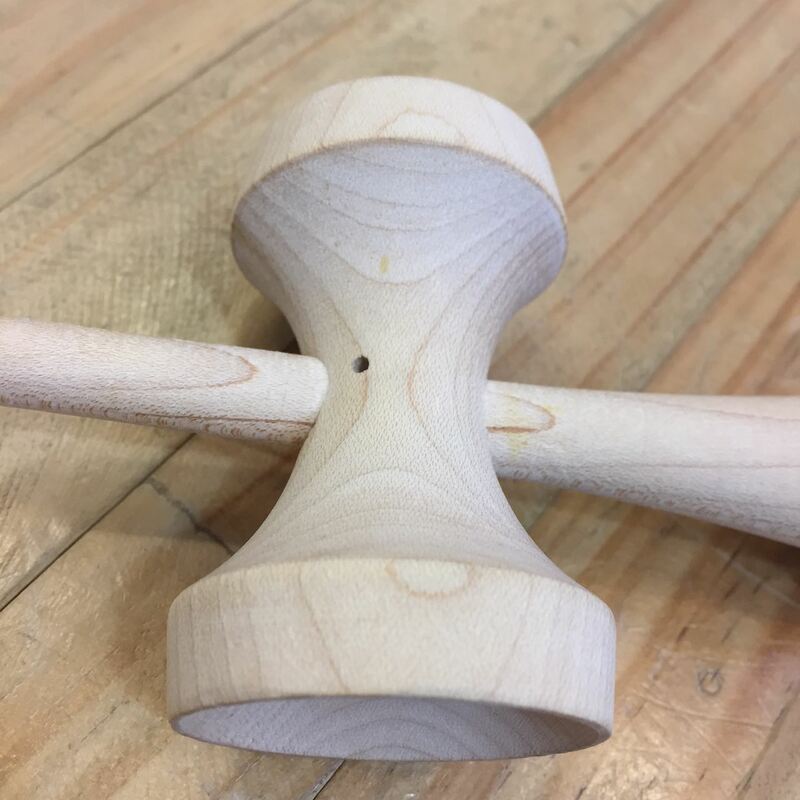 Before you glue your Kendama tip, always remember to invert your Ken to add the glue, and don’t add it when the Ken is upright! 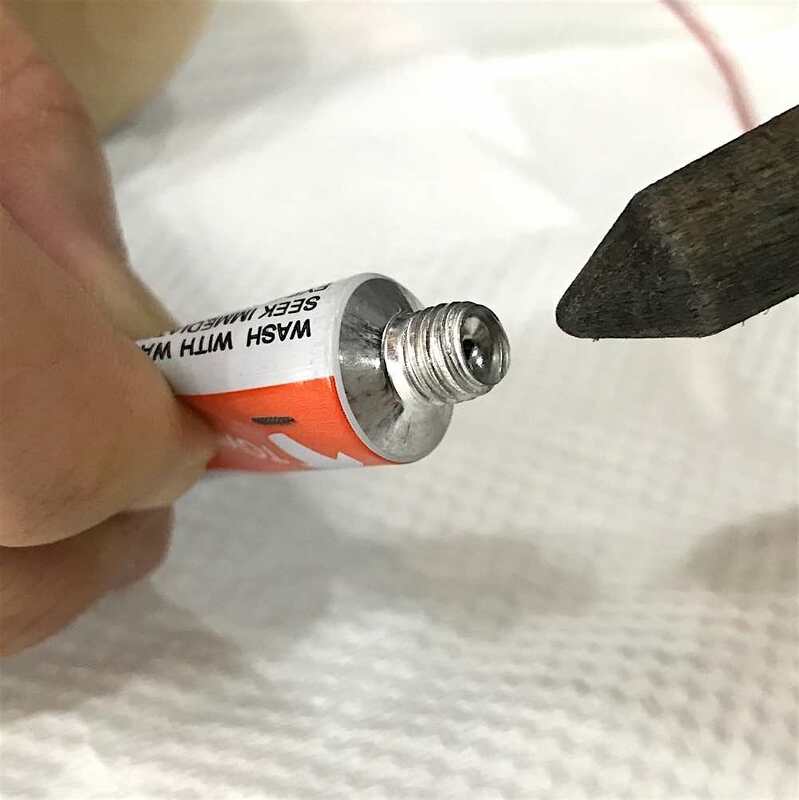 Before adding the glue to your Ken tip, squeeze out a drop of glue first before applying it to your Ken. Don’t squeeze the glue out onto your Ken tip directly as this may result in having too much glue on the tip. Next, bring your Ken tip to the glue tube opening, and touch the droplet of glue. 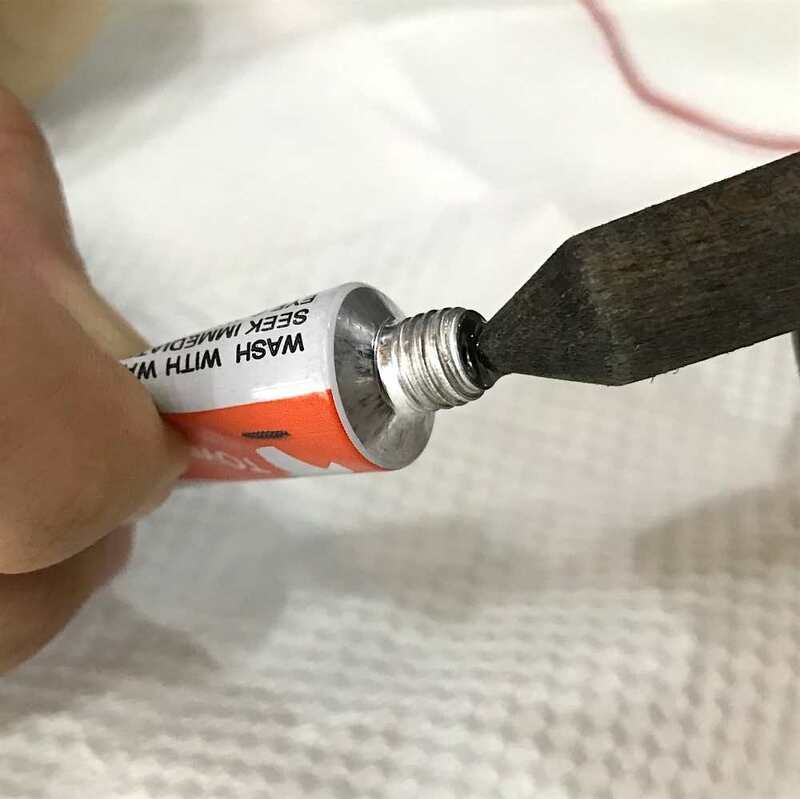 Squeeze out a little more glue, and then spread the glue evenly around your Ken tip. 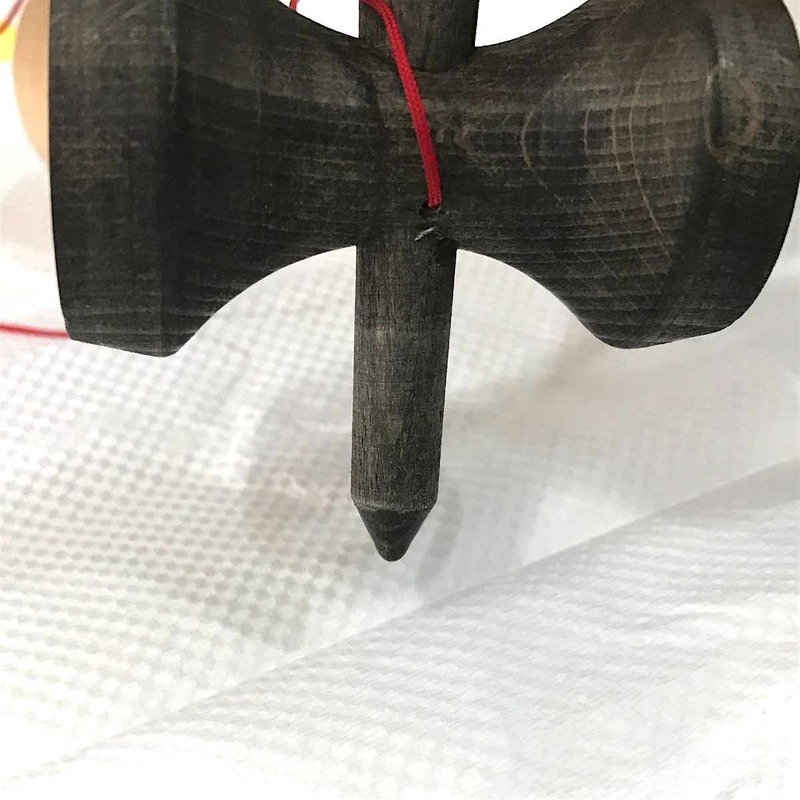 To end off the gluing session, let your Kendama hang inverted as your glue dries so that the glue does not drip down your Ken. Leave it to dry for an hour or two, and you are good to go! 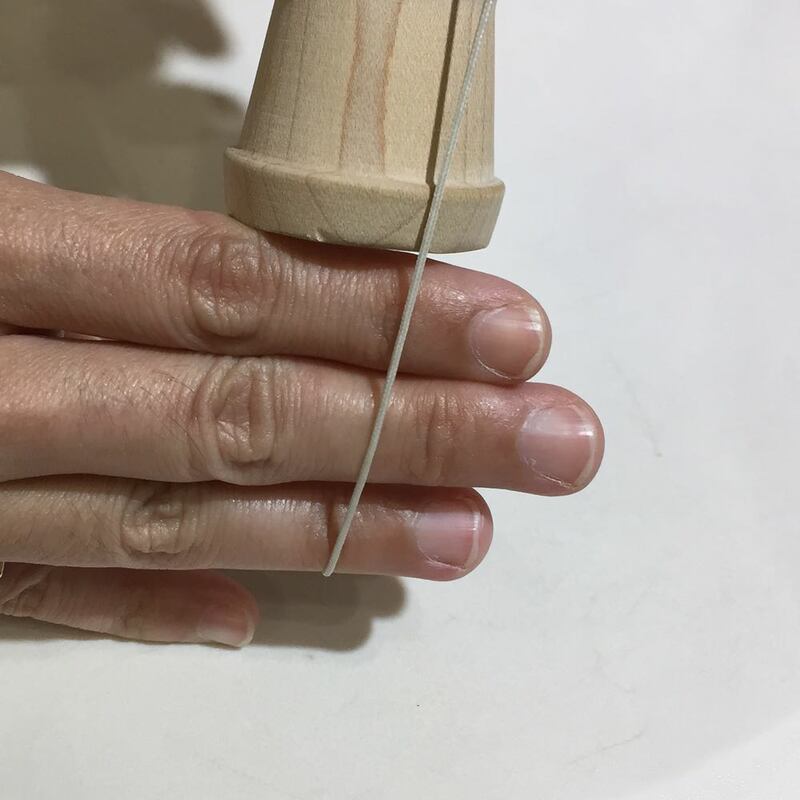 2-Finger Length is the most traditional string length that is used by the Japan Kendama Association (JKA) when taking their Grading Tests. 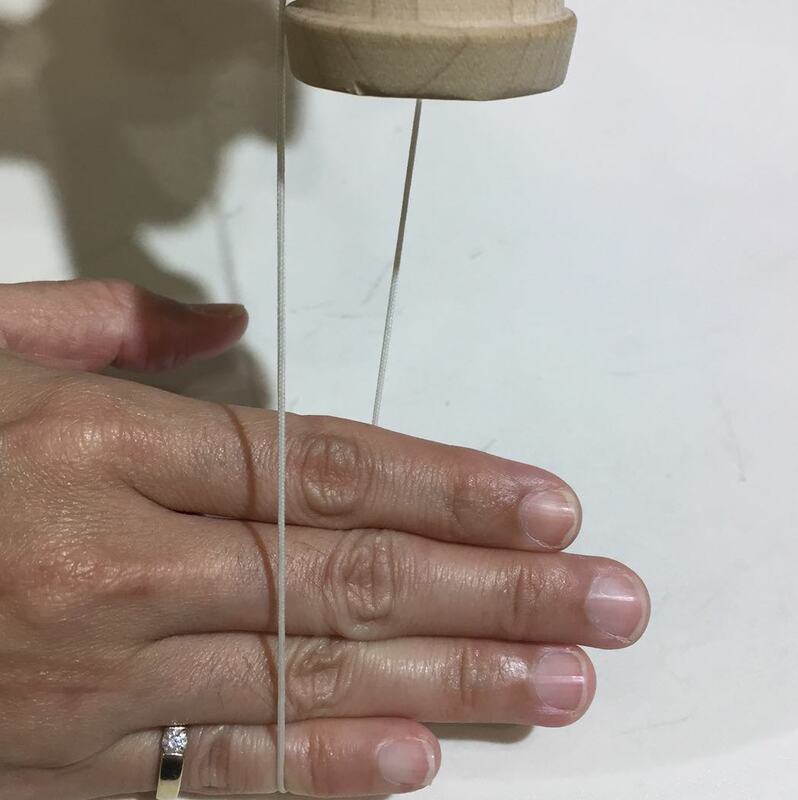 3-Finger Length is the most commonly seen string length in the Kendama world. This length give enough lee-way for tougher tricks like Juggle, Multiple-turns, etc. 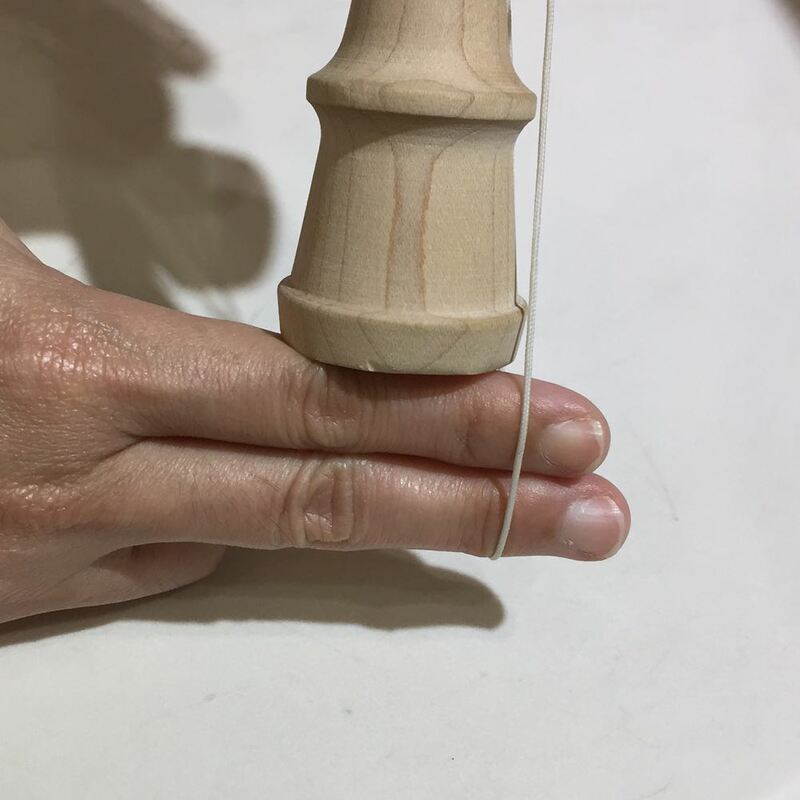 3-Finger Length strings are allowed for most Kendama contests around the world. 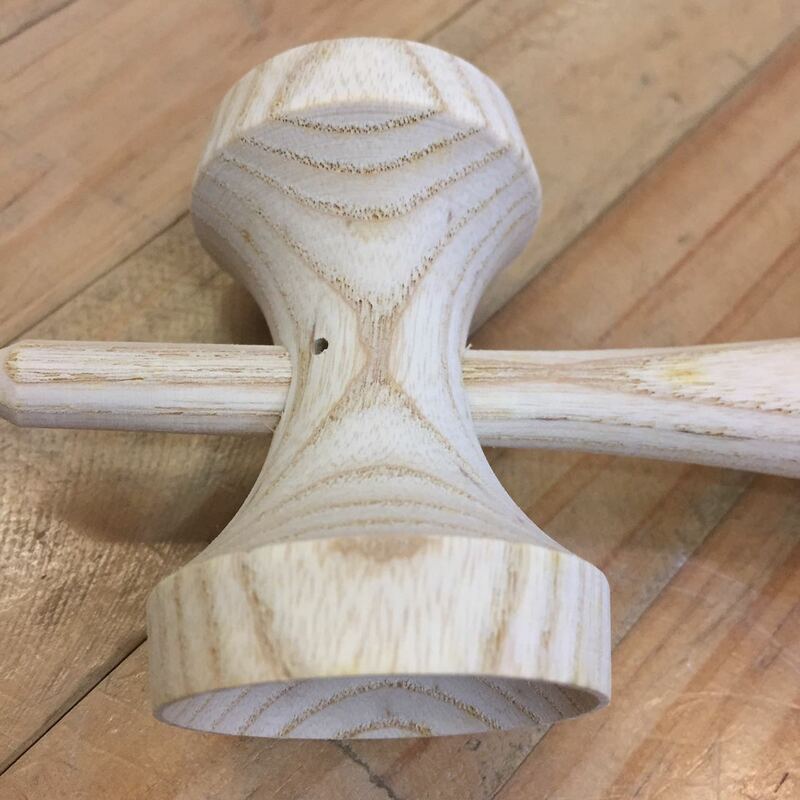 4-Finger Length is usually seen on Kendamas used by players who do lots of multiple juggles as this string length allows for very comfortable juggles. If your string length is longer or shorter than 2 to 4-Fingers, it is out of the norm. But if it works for you, then go for it. Do note that there are various contests around the world that will not allow string length longer than 4-Fingers. 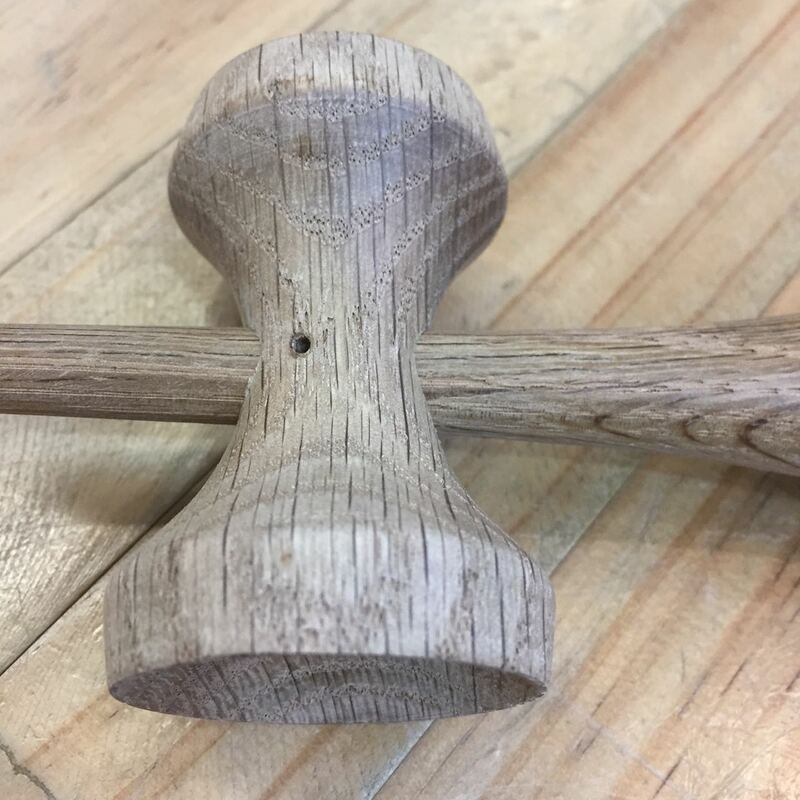 There are many other types of wood used in Kendamas. Types such as Mahogany, Cherry, Hickory, Rose, etc. Some exotic wood types are really cool, unique and hard to come by. If you do find them, definitely add them to your collection! 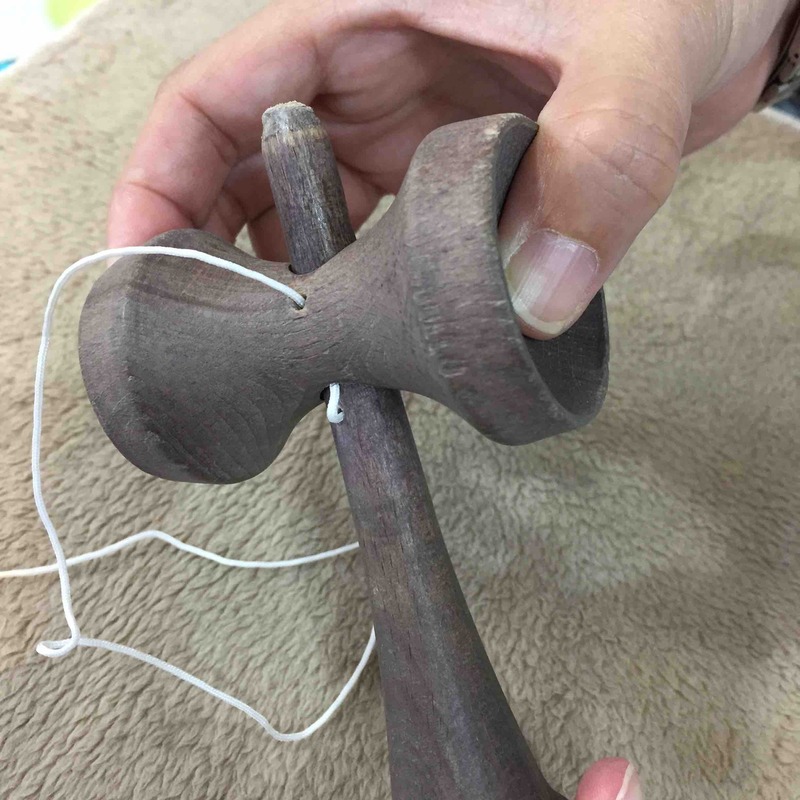 I’m a beginner, which Kendama should I pick? 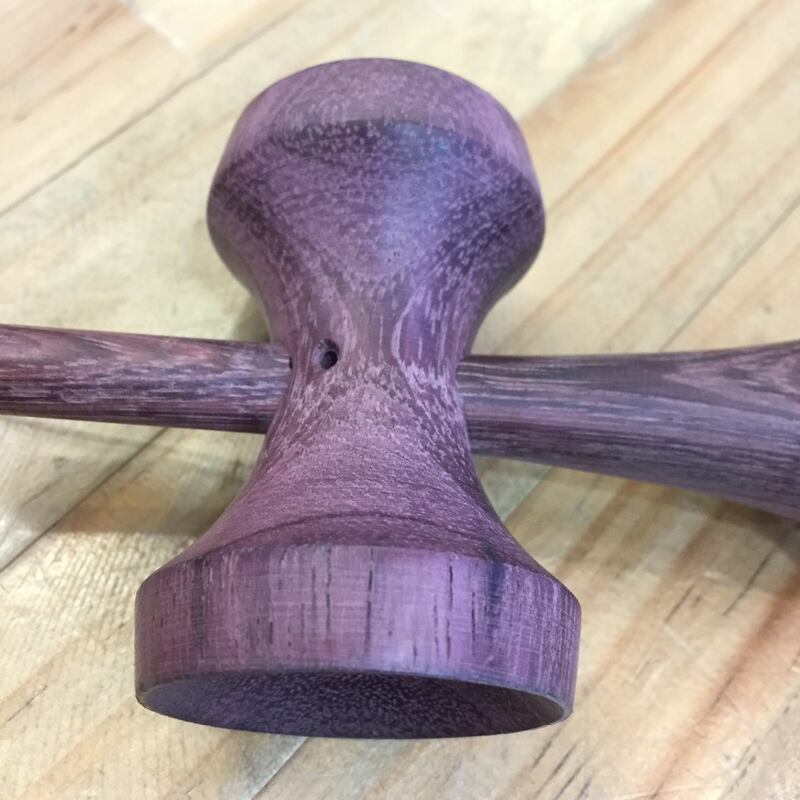 Whichever one appeals to you in terms of shape, color, brand, etc because it’s going to be the Kendama you use daily, so choose something you LOVE. There isn’t a real distinction between a ‘Beginner’ Kendama and a ‘Advanced’ one. 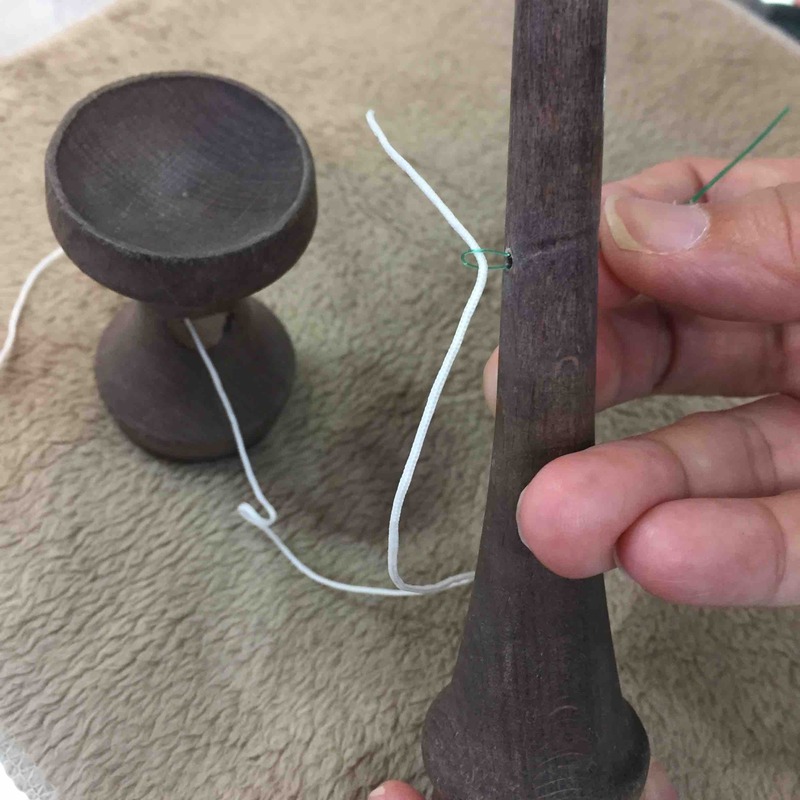 Just decide if you are going for a Glossy/Slippery or Tacky/Sticky Tama kendama and you are good. Either ways, if you still need help deciding, contact us and we will be glad to help you out! 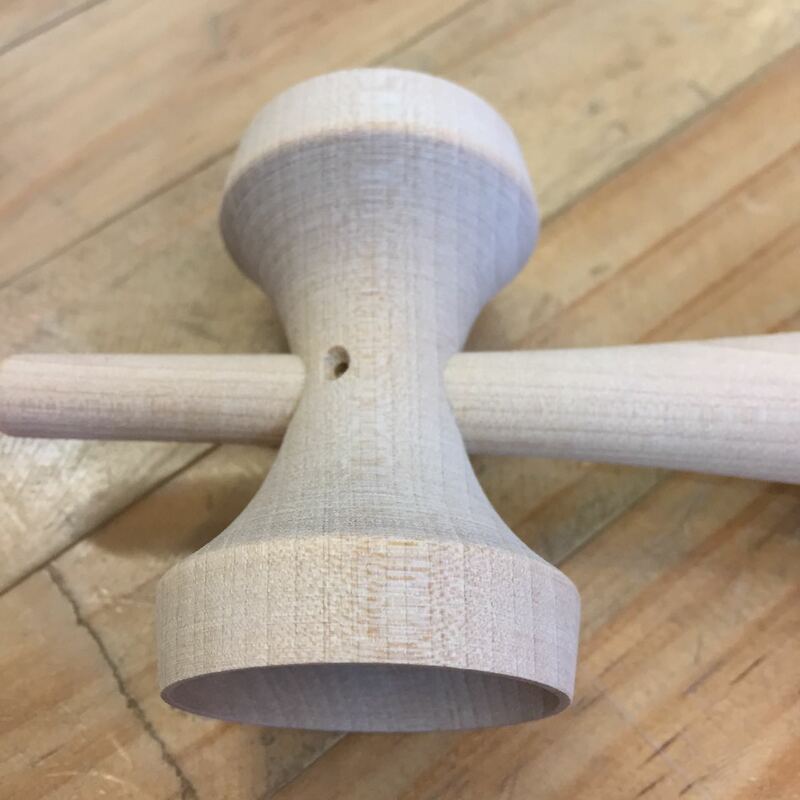 What is the best Kendama? There isn’t a single best Kendama. Different Kendamas are better in different areas/aspects of play (e.g. Better for Lunars, Slingers, Spacewalks, etc). 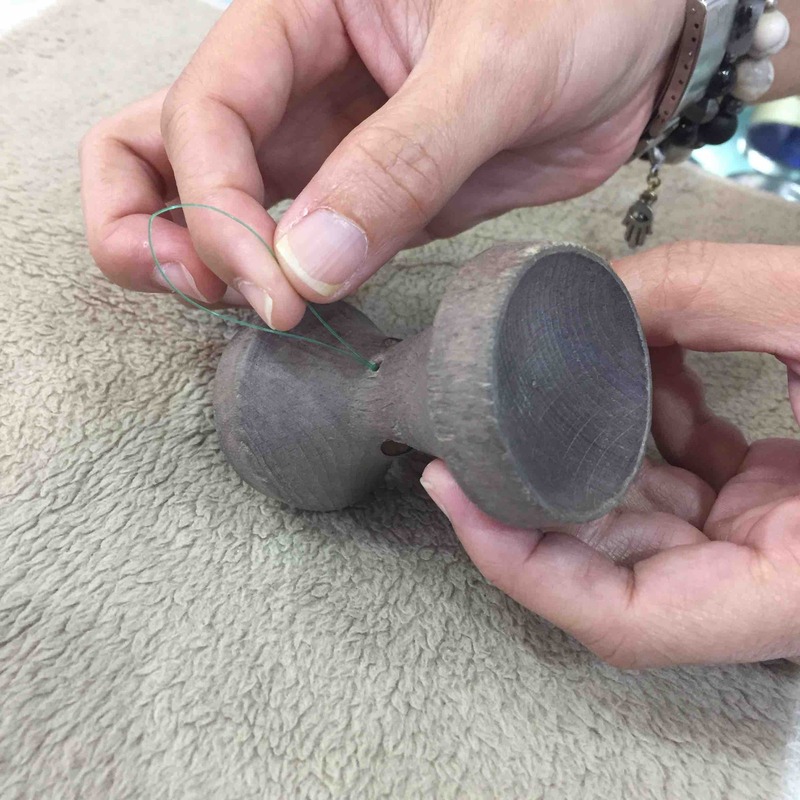 Furthermore, due to the nature of wood, every Kendama is going to be slightly different even if it is the same model. So ultimately, the best one is the one that you are already playing with. It is not the Kendama, but more of the player that matters. I keep trying but I just can't land this trick. Help! Our advice is to (1) Break down the components of the trick, and master those individual components first before putting it together, (2) Keep practicing and keep trying it again and again, be patient with yourself while learning and (3) If you still can’t quite get the idea/concept of the trick, contact us with what you are working on and we will do our very best to help you out. 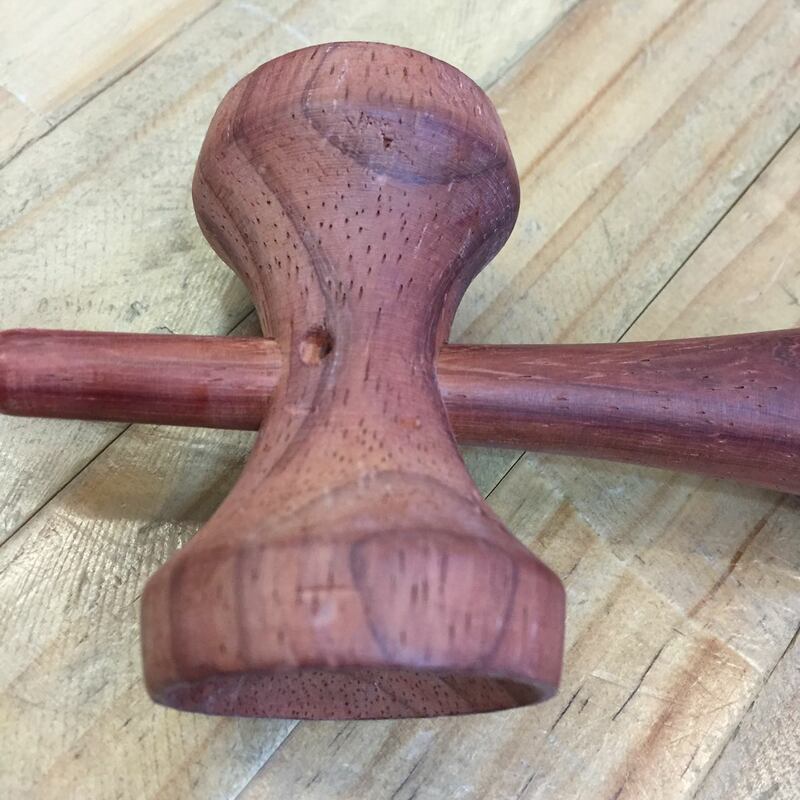 My Kendama Spike is blunt, can I make it sharp again? Well, yes and no. When Spikes are blunt, some people sharpen their Spikes with a Pencil Sharpener. While this will make your Spike sharp once again, it will also cause the overall length of your Sword to be shorter. 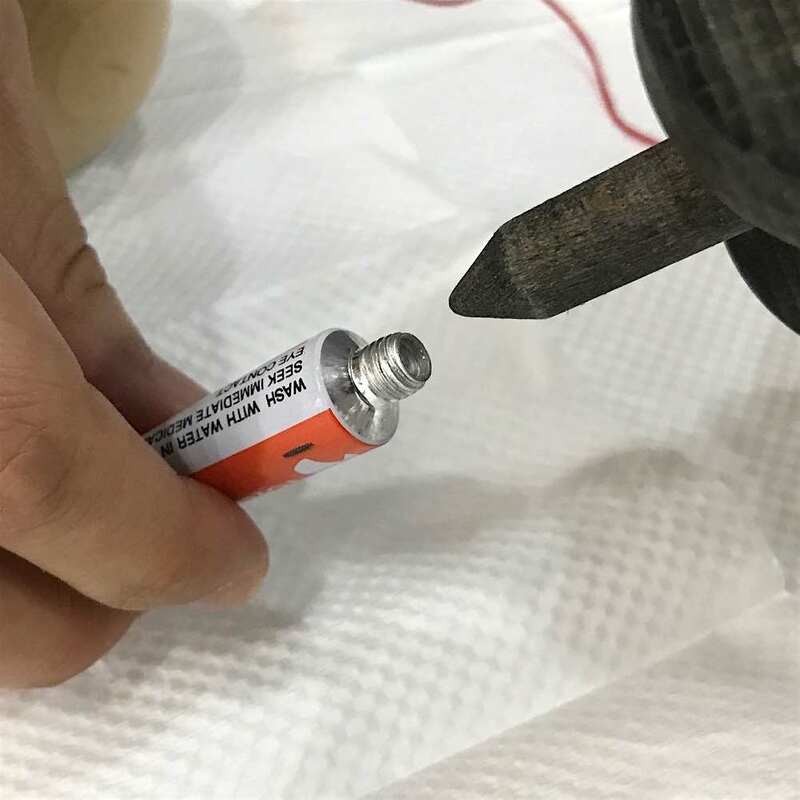 Furthermore, using a Pencil Sharpener to sharpen the Spike will cause it to be too sharp and you will still need to blunt it out a little. 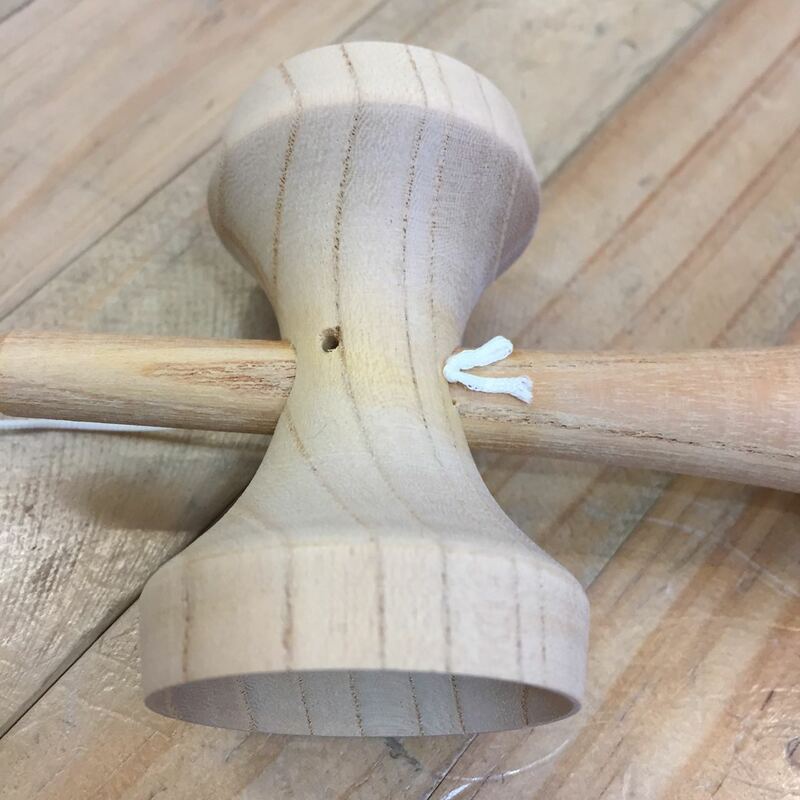 Hence we would not recommend sharpening your Kendama Spike. 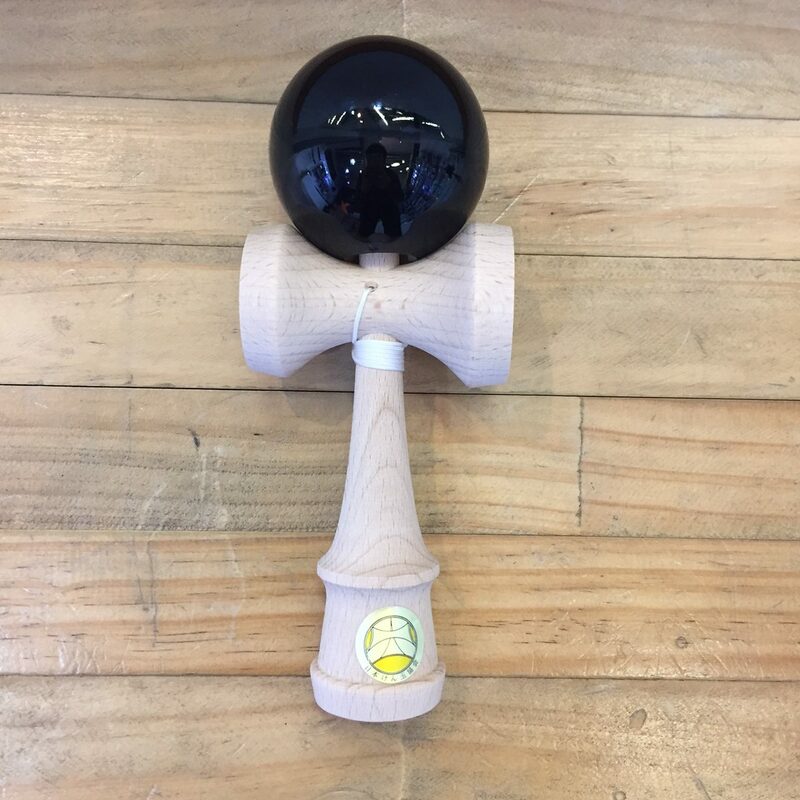 Continue using your Kendama the way it is (it’ll be great for Boarder Balance), if not pick up a new Kendama. 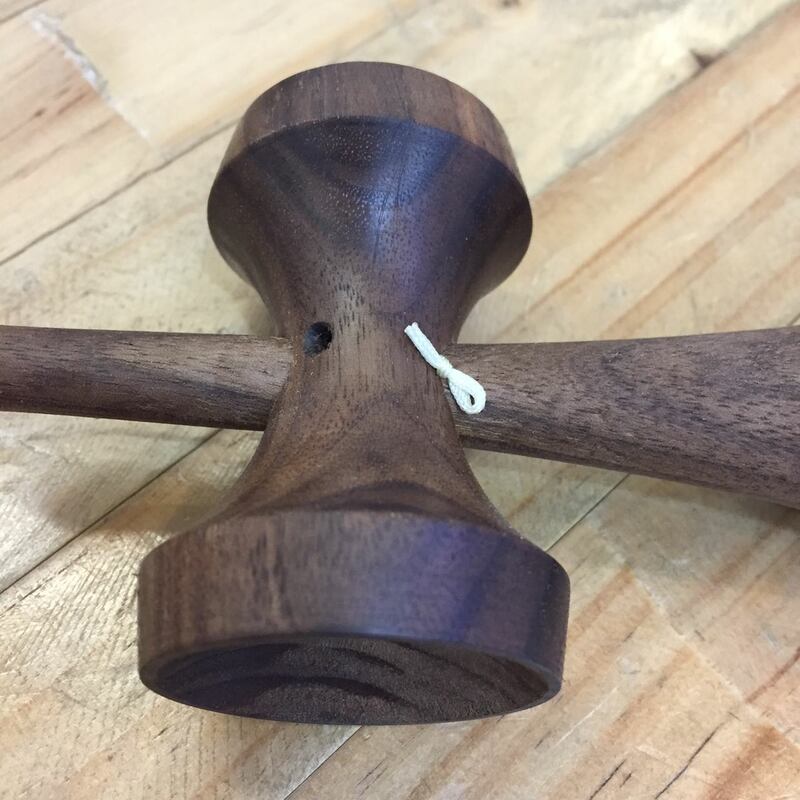 Why are Kendamas priced so differently? There could be various factors on why price differs. 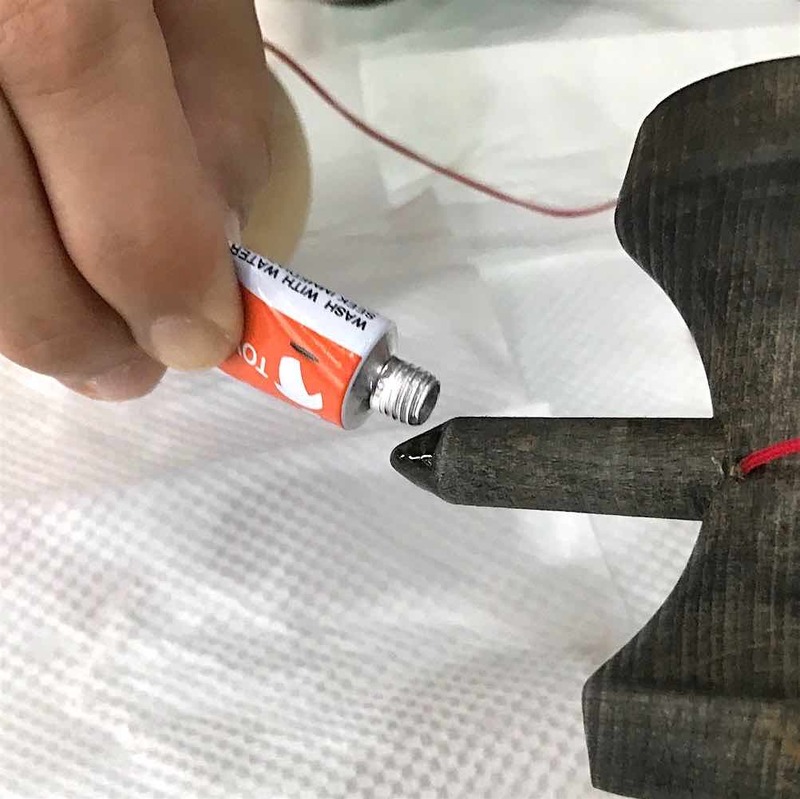 Some reasons could be (1) the wood used to make the Kendama is more exotic or harder to come by, (2) the paint/finish on the Kendama/Tama is cooler/more durable/harder to paint or (3) the Kendama is hand made, or hand finished piece by piece. These are just some of the more common reasons. Should I choose a Slippery or a Tacky Tama Kendama? That is really up to you. 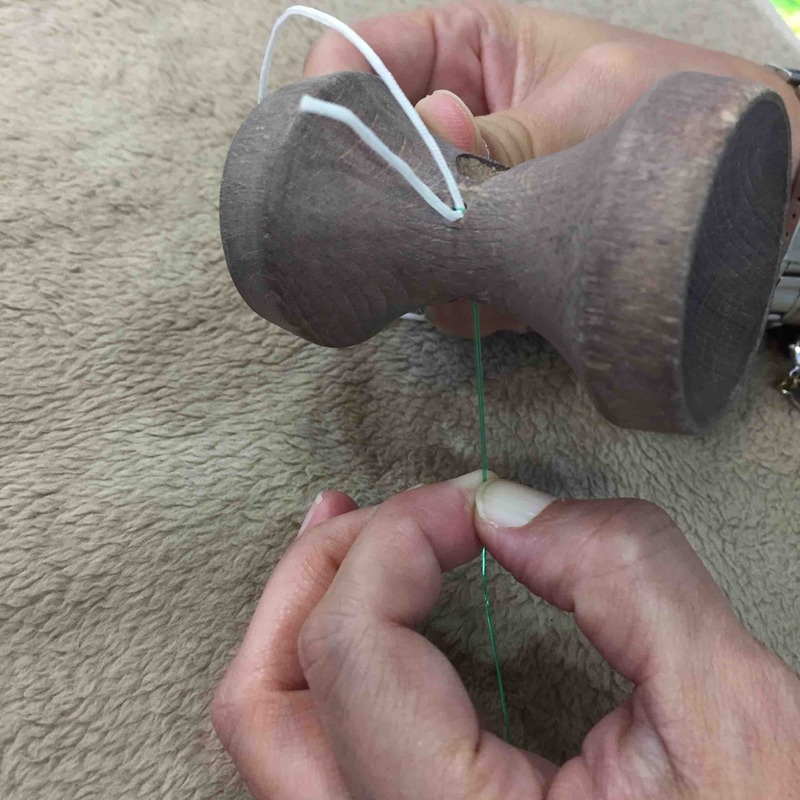 Traditionally, when players first pick up a Kendama in Japan, they always start with a Slippery Tama Kendama. 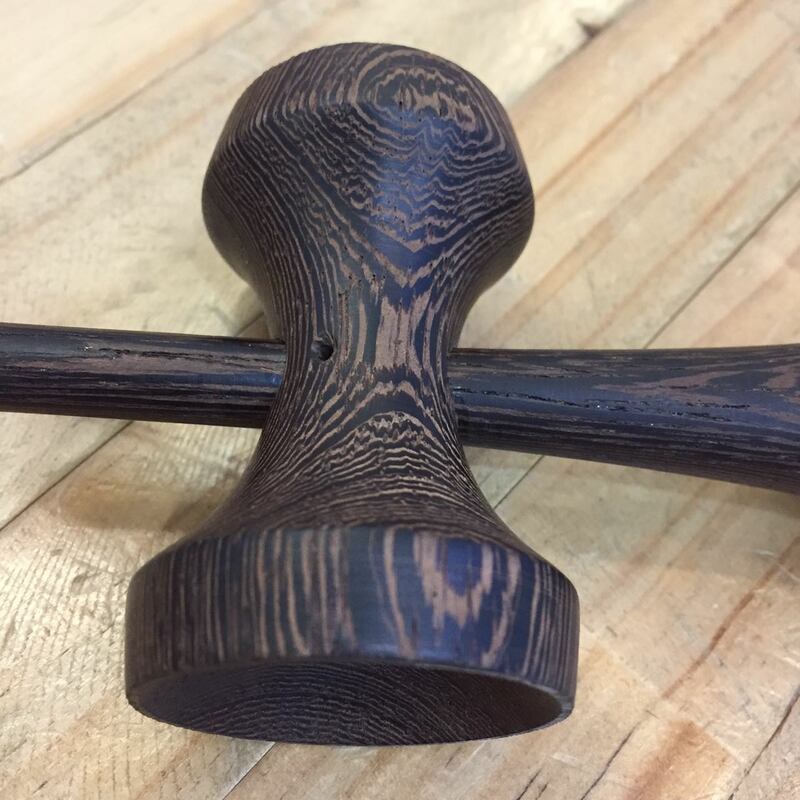 These Slippery Tama Kendamas are also usually the cheapest option you have. Slippery Tamas are good if you are able to do your Lighthouse/Lunar/Balance tricks easily and would like to be able to adjust the Ken when performing these tricks. Tacky Tama Kendamas make landing Lighthouse/Lunar/Balance tricks much easier but may be difficult to adjust the Ken after landing these tricks. Also, Tacky Tama Kendamas are usually pricier than Slippery Tama Kendamas. What Kendama strings should I use? 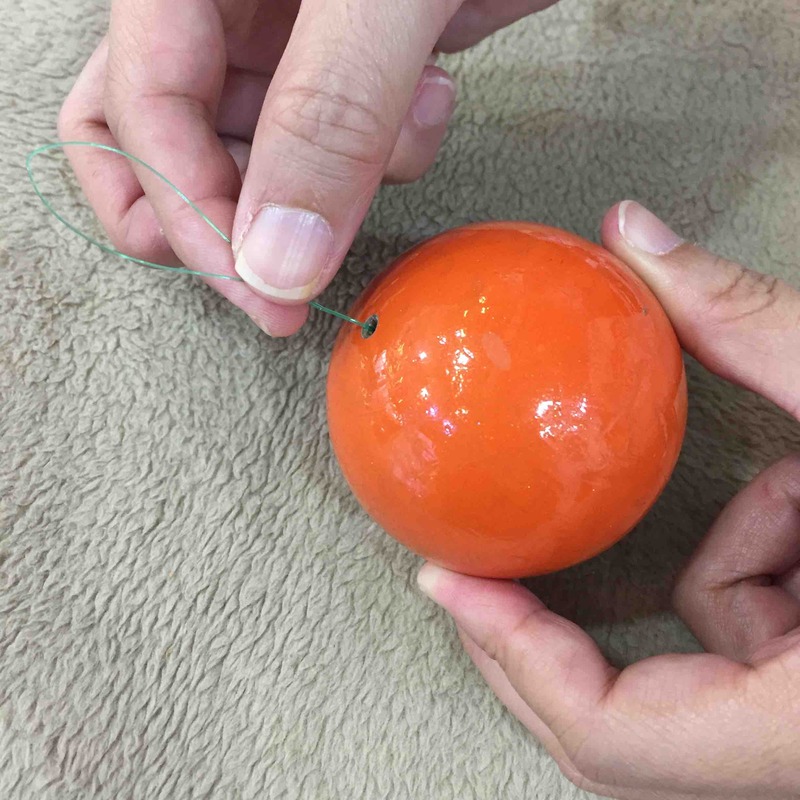 There are lots of Kendama string options these days. Nylon strings, loose-tension strings, cotton strings, etc. There is no one best string and ultimately it all boils down to preference. As these strings are not too expensive, pick various types up and give them a try to figure out which ones you like best. 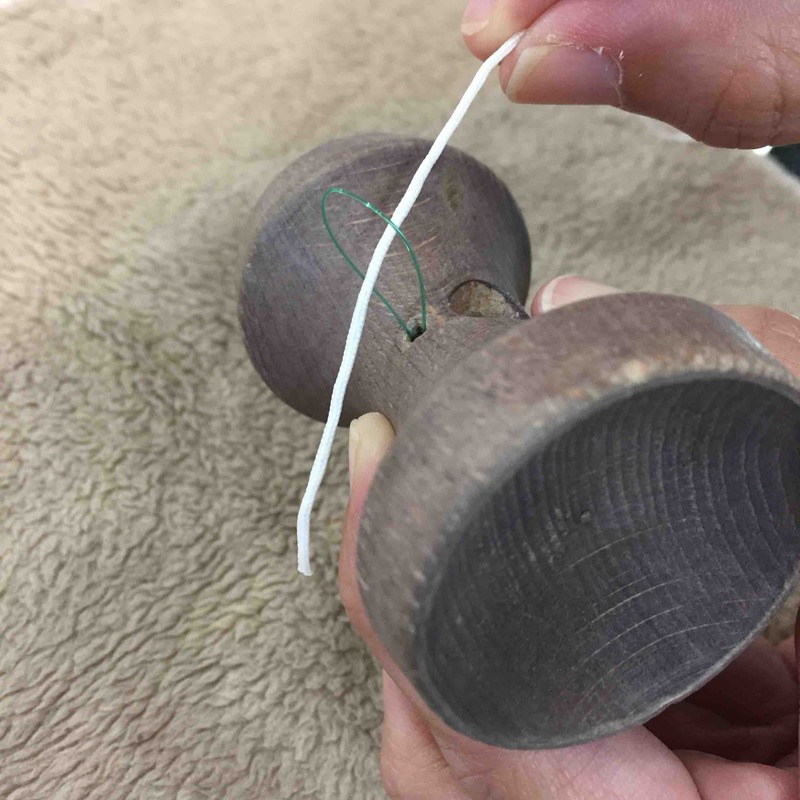 Generally Kendamas do not break easily unless it is put under heavy abuse. Forceful drops / slams against the floor multiple times will eventually cause a Kendama to break. Furthermore, certain types of wood are more brittle and more prone to breaking (E.G. Padauk, Multi-ply, etc). 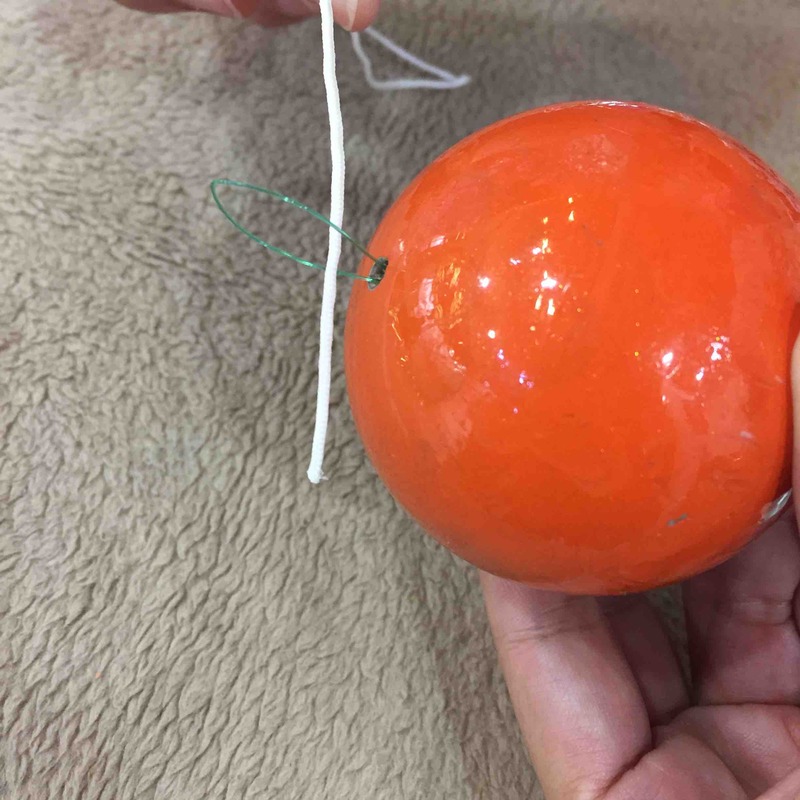 If you are relatively careful when playing with your Kendama, it should last you a long time. 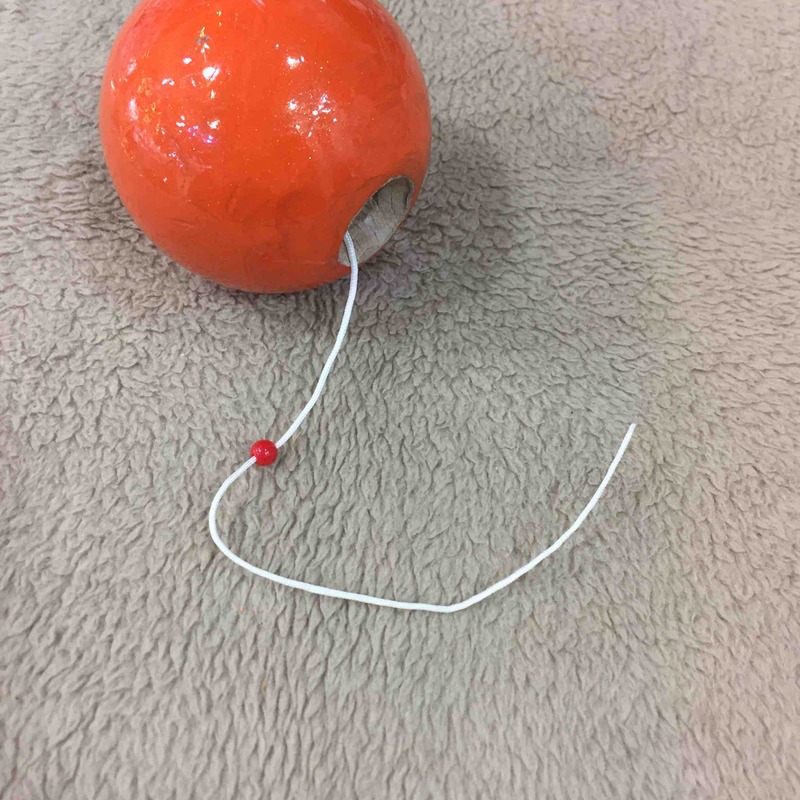 How do I prevent my Kendama from getting dents and chips? You can’t. Once you begin playing with any Kendama, dents and chips on the Tama and Ken is normal. 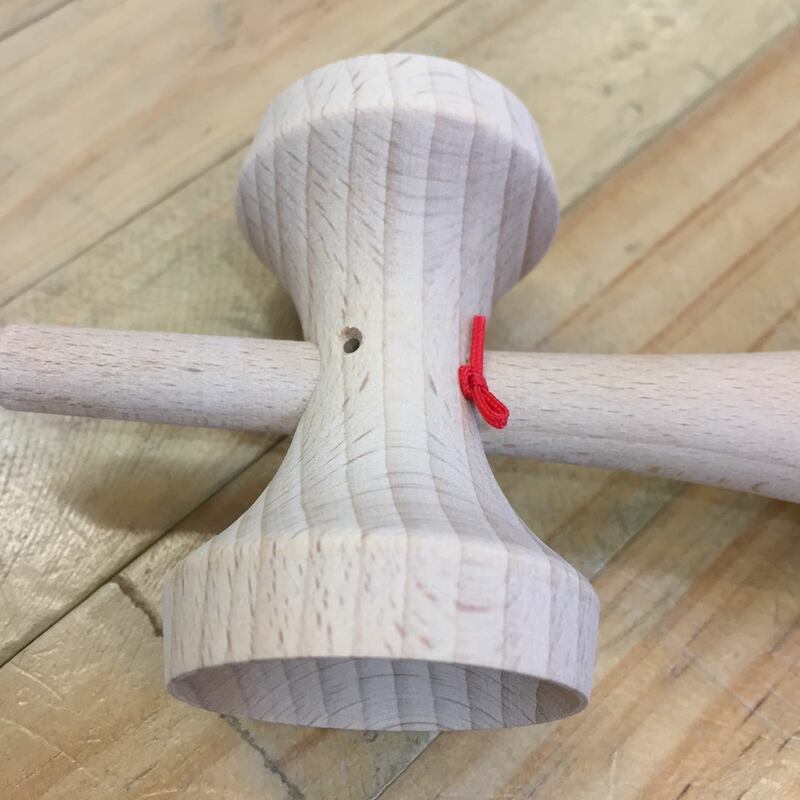 There is no escaping the fact that from that point on, your Kendama will no longer be able to go back to being the nice, new, clean, crisp Kendama you got when you opened it for the first time.